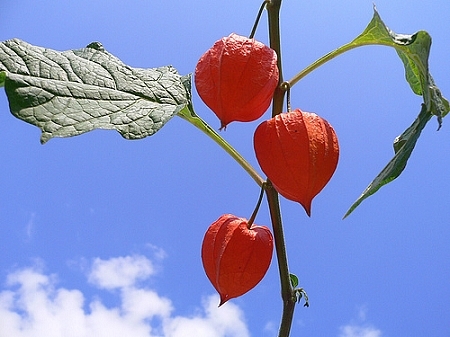 Decorative orange seed cases resemble brightly lit paper lanterns. Makes a charming addition to dried arrangements. Seasonal and very hard to source. These are not seeds but the mature, dried flower. These will sell out quickly.